Admittedly, it is not normal for one to enjoy a cup of hot, drip coffee at nine p.m. But a life of sole individual norms does not add to much, and for no particular reason, I have a personal tradition of ordering black coffee before late night movies. It is as addictive, and comforting, as extra-buttered popcorn or warm kettlecorn. As others munch through their bags of corn, I sip incessantly, sometimes consciously, but mostly at a pace of utter ignorance and lack of thought. I just drink. Coffee at the movies does not usually generate much conversation. Not only is it less popular than the standard popcorn, nachos, and soda, but the quality is (understandably) below what I would consider drinkable. Somewhere between law school coffee and the three p.m. leftover pot at work. For coffee, that is kin to the eighth ring of hell, in Dante’s terms. Soda and popcorn, that is the staple. Soda and nachos, soda and hotdogs. I find incredible, heartfelt joy when I find another being sipping coffee at the movies, as if I’d found a long lost kin. Angelika Film Center and Cafe is like none other. When it first opened its theater in the Mosaic District in Northern Virginia, people flocked to it for the balanced showings of independent and blockbuster films, the occasional foreign features, and believe it or not, the kimchi hotdog – which I’ve tried, and to my disappointment, is nothing special. 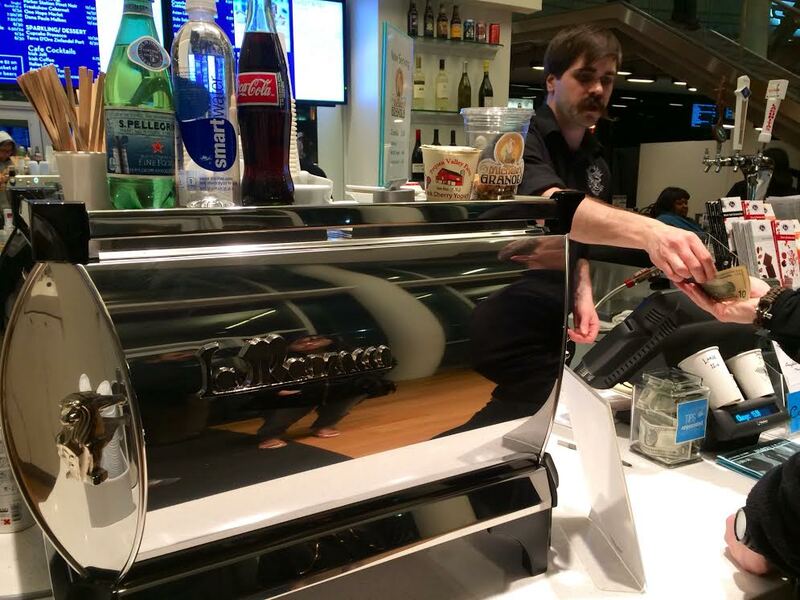 Bollywood or no Bollywood, kimchi-dog or no kimchi-dog, what drew my attention was the shiny La Marzocco espresso machine on the first floor. I could not believe my eyes. Where was the Denny’s coffee pot, and Bunn brewing thing? Along with beer on tap and an impressive assortment of baked goods, the tiny cafe in the corner brews Intelligentsia coffee, even at the utmost late hours, for addicts like me shaking to take that fresh cup into the showing. 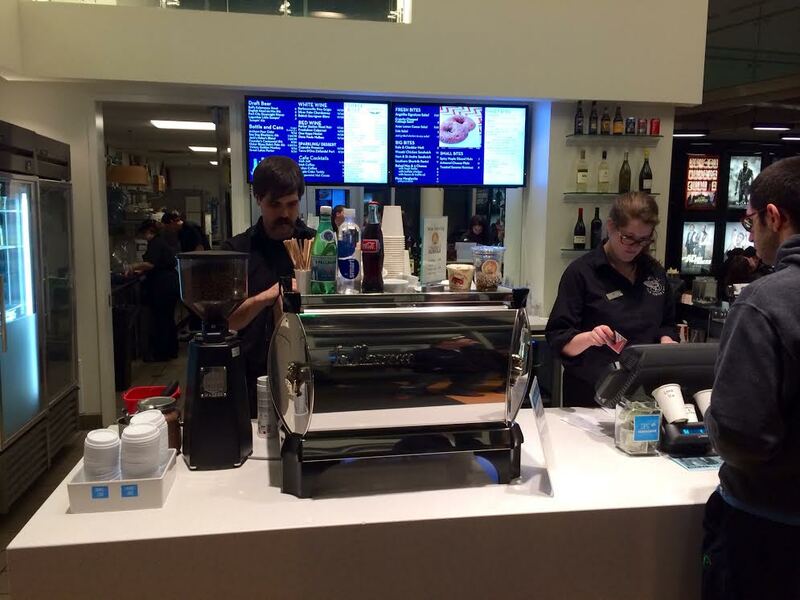 The baristas knew what they were doing, and let’s just say that sipping quality coffee at the movies was something I did not expect to see in this decade. After opening its flagship theater in New York’s Soho district in 1989, Angelika has expanded into Dallas and Plano, Texas, and Northern Virginia. This is not the AMC you’re accustomed to. The interior design, the layout, and the lighting is more like an exhibition, patrons lounging and chatting with a glass of wine, pint of beer, and yes, coffee. Gourmet snacks, gourmet-level independent films, and a gourmet atmosphere is very fitting for gourmet coffee. 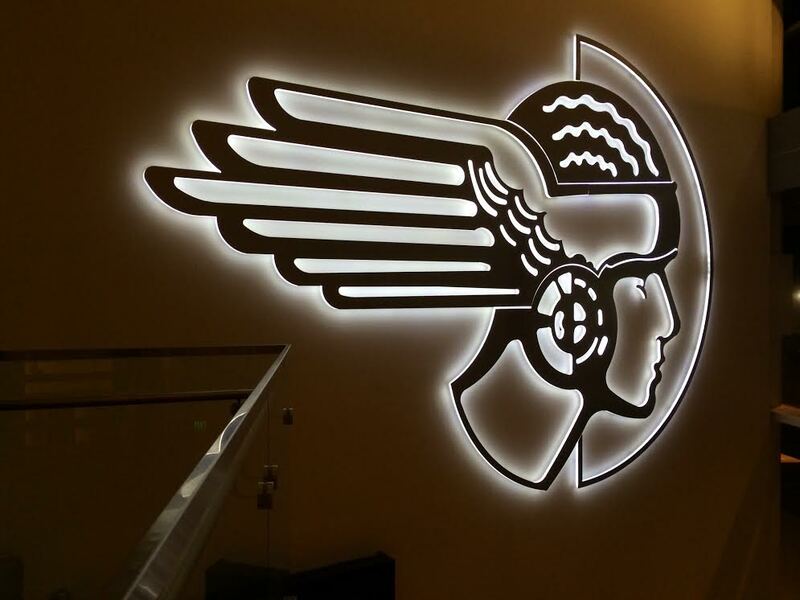 Angelika’s iconic logo, resembling the likes of a mixed breed between a Greek god, Roman soldier, and rugby stud, hangs prominently on one wall, as if to watch over the patrons as they ascend or descend the glass stairs to and from the theaters. I wish, however, that Angelika would make more use of the logo. Simple prints or stamps of it on the coffee cups or sleeves would be a nice touch, and would enhance its branding. Tapping the Fandango app on my phone, finding a new movie I’ve barely heard of, realizing that it starts in thirteen minutes, rushing to the theater, barely making it to my seat to catch the final seconds of previews – with a cup of Intelligentsia coffee in hand. Fewer things in life could be more satisfying.